Today's Letter of Note is another interesting piece of correspondence concerning Stanley Kubrick. On the past two occasions when he's come up, we've looked at events in and around 2001: A Space Odyssey, but today we turn our attention to one of his many projects that never made it to the screen. After the critical and commercial success of 2001, Kubrick began work on what he believed would be his masterpiece - a biopic of Napoleon Bonaparte. After making little progress by late-1969, he shifted focus to adapting Anthony Burgess' A Clockwork Orange - a decision which produced both his best film and a brief but productive relationship with Burgess. Following A Clockwork Orange, Kubrick worked with Burgess on a new script for Napoleon based around the music of Ludwig van Beethoven; Burgess turned in a first draft, but Kubrick ultimately rejected it in a letter that can be read here. Burgess' manuscript ended up being the basis for his 1974 novel Napoleon Symphony. Kubrick never made his Napoleon biopic, though Barry Lyndon more than made up for it. 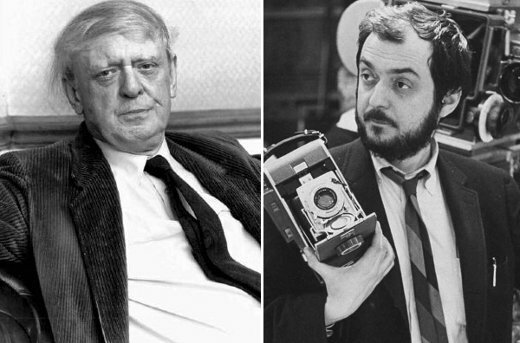 The previous Kubrick-related Letters of Note, concerned his relationships with Arthur C. Clarke and IBM, can be read here and here respectively.